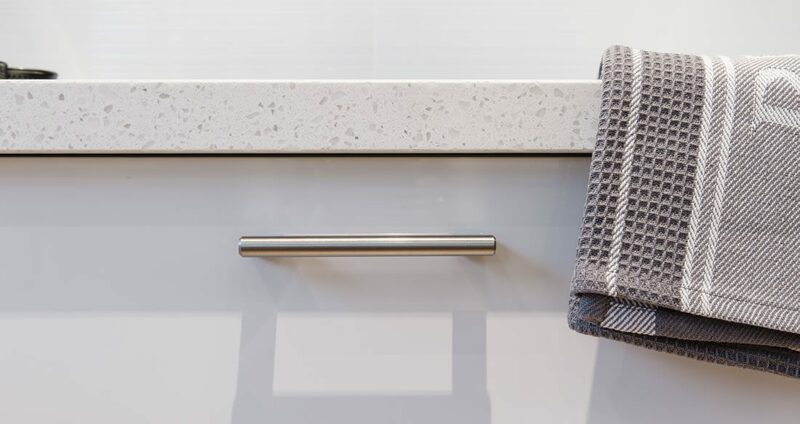 Zesta Kitchens specialises in providing the highest quality products for homeowners throughout Melbourne. Regardless of whether you’re renovating an existing kitchen or building a new house from scratch, you can rely on our exceptional service, quality products, and dedication to customer satisfaction. Across the city and beyond, we have built an impeccable reputation with our clients recommending us to friends and family alike. This reputation is backed by our guarantees, giving you peace of mind that you are making a smart investment. Whether you have a large home or a small one, a large family or you’re a couple, we can help. Everyone loves kitchen island benches to congregate and enjoy family time. Our selection covers kitchens of every size, for virtually every purpose. This means if you love entertaining and cooking for large groups, or simply want a kitchen that is a pleasure to be in, you’ll find something to suit your needs in or range. We take pride in having only the very best in our product range and everything we sell is backed by our personal guarantee of quality. Coupled with our superior service, you’re assured of a smooth new kitchen process from start to finish. To find out more, or to book a consultation, please don’t hesitate to get in touch. We will be happy to discuss your needs and help you make an informed purchase. Our team has many years of experience in the industry, which enables us to offer expert insight and advice, answer your questions and queries, and be your go-to place for knowledge and service. Pick up the phone and call us today on 1300 100 555 to speak with one of our team in person. You can also pop into one of our three Melbourne locations and experience the quality up close. Our staff will be happy to show you around the kitchen showroom and provide advice tailored to your specific requirements. Alternatively, use our online contact form and we will get back to you as soon as we can.